When something familiar happens in an unfamiliar context, or something strange happens in a familiar one. When the inanimate appears animate, or the animate appears inanimate. When we feel there is a foreign body inside our own, or when we become foreign to ourselves. Editor Sandor, in the brilliant introduction to The Uncanny Reader, lists these unnerving scenarios as the definition of uncanny—that nature is being undone, that what we think we know of the world is a deception. 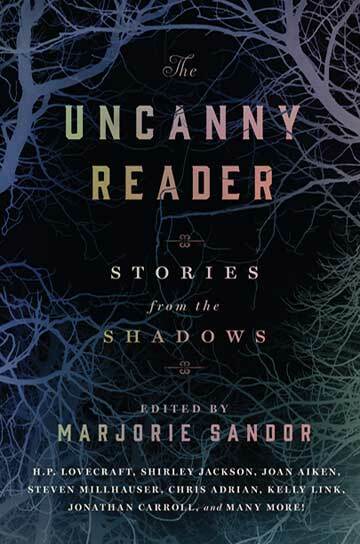 To unseat us from our comfort, Sandor has collected short stories spanning over a century of classic and contemporary horror. Starting with eternally haunting works by Edgar Allan Poe and H. P. Lovecraft, the collection ends with outstanding science-fiction and horror writers on today’s short story scene. Authors such as China Miéville and Karen Russell deliver the same disconcerting subversion of the uncanny as the nineteenth- and twentieth-century masters but are informed by today’s understanding of psychology and flavored with our contemporary fears. Any seeker of smart and subtle literary horror could not bear to miss this.